Hey guys and happy November!! 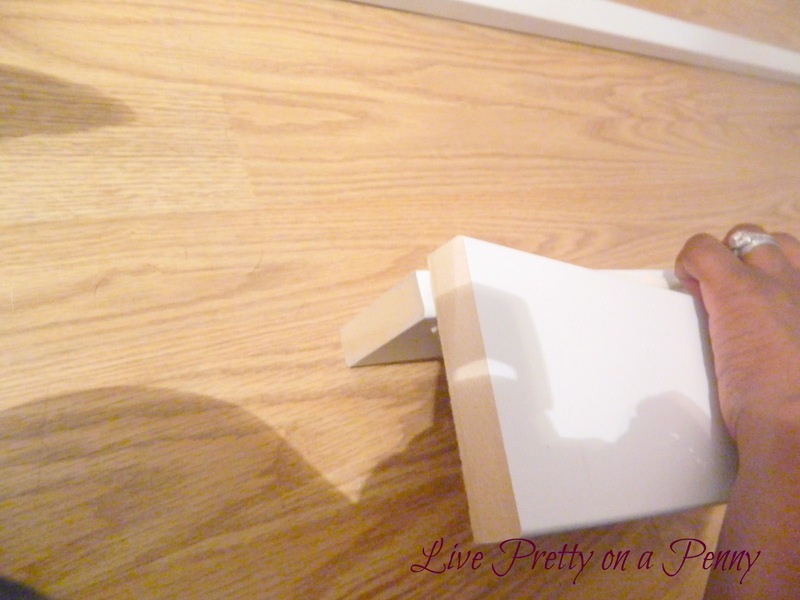 Today I am back with another throwback post from 2012–DIY Floating Shelves. 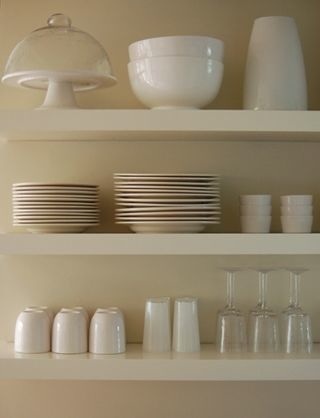 I can’t believe that these shelves have been around this long and still look great! I still love to re-style them occasionally and don’t forsee them going anywhere soon. 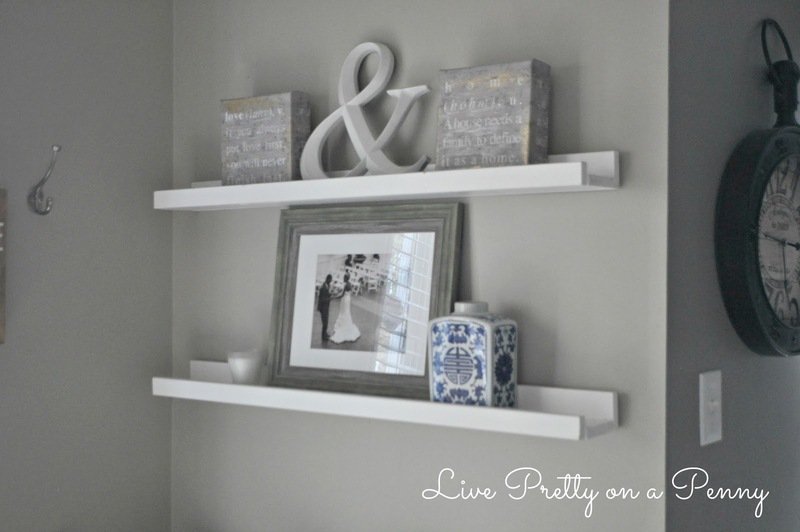 If you have always wanted to add floating shelves, then this throwback tutorial is for you! I hope that everyone is having a fantastic week. I have a project that I am hoping many of you will like and even try! 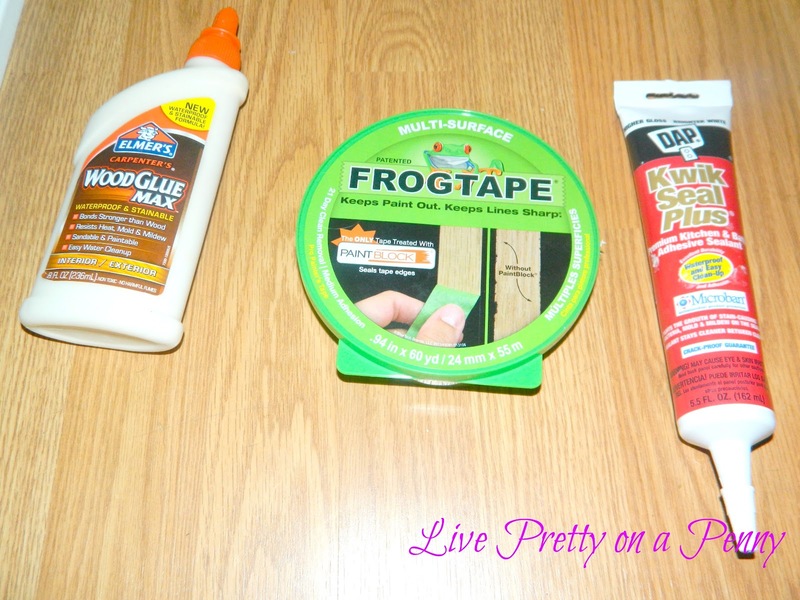 It’s super easy and super cheap (in a good way of course)! Well these babies can cost between $25-$55 for one ledge, which is nuts to me! So I decided that I would make my own, and you can too! 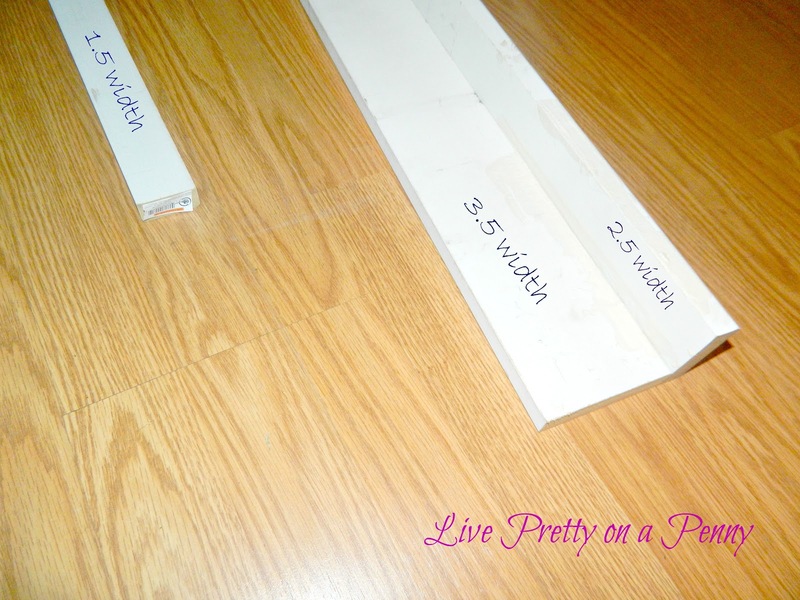 Once I decided where I wanted to place my shelves, I measured the wall to determine my desired length. My wall measured at 4ft, so I knew I wanted my shelf to be 3.5ft. I went to my local Home Depot to pick up some pre-primed MDF boards, wood glue, white caulk, heavy duty screws, and painters tape. 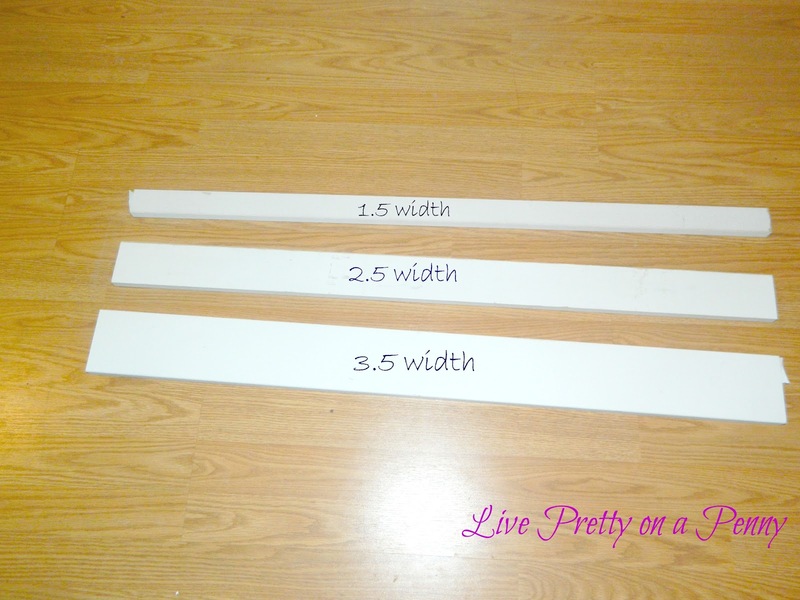 When purchasing the MDF, I bought one of each: 1.5 x 8, 2.5 x 8, 3.5 x 8. Being that each board comes in a length of 8ft, I had them cut the boards to my desired length of 3.5ft, and kept the remaining pieces, since I had to pay for them anyway. 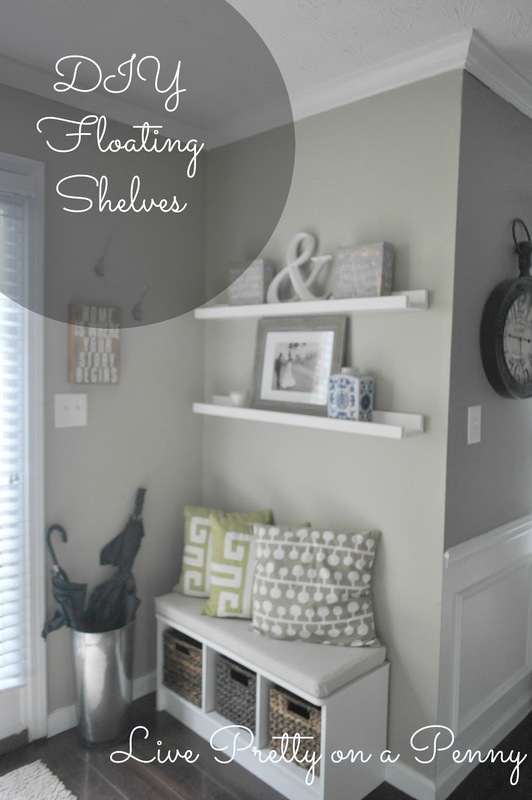 I could always use them to make floating shelving for another room in my home. Total, I believe I spent for all three shelves, plus the extra cuts (that can make 3 more shelves), the wood glue, tape, and caulk, I spent around $20. Can’t beat that! Now it’s time to put my plan to work. After I arrived home, I laid out my shelving. 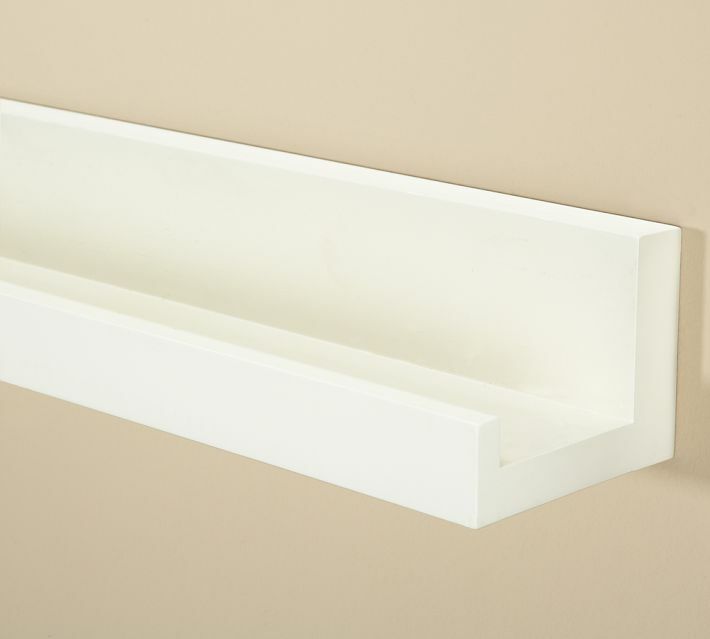 The 3.5 width serves as the the base of the shelf, 2.5 width serves as the backing, and the 1.5 width serves as the front of the shelf. Once the wood glue dried, I located the seam and thinly filled the seam line with the white caulk. Cauking the seams make the pieces look continuous as opposed to looking pieced together, if that makes sense. 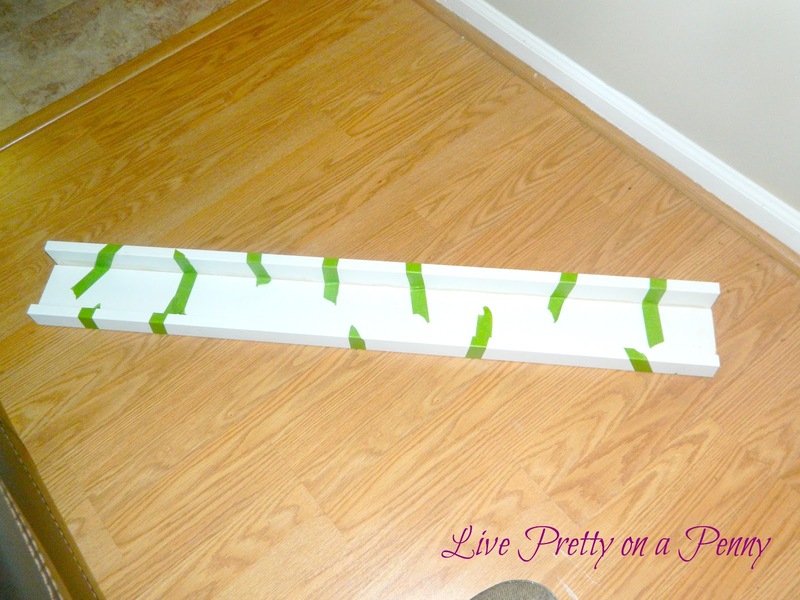 After caulking all of my seams, the shelves were not as white as I wanted them to be, so I painted over them using a paint brush and white glossy paint that I already had at home. This step is optional, but for a cleaner look, I recommend! Next, I grabbed the drill, leveler, stud finder, and some pretty heavy duty screws to secure the shelves into the wall. Now for the hard part (where you may need to call in someone to help). My husband and I put our heads together and placed the stud finder on the wall to locate the studs, which are normally 16 inches apart. After locating, I placed a pencil mark and used the level to determine if it was straight or not. I placed a total of 4 pencil marks, two in each row, approx 16 inches apart to align with the studs. After some adjustments to my pencil marks, he was able to drill through the MDF and hang the shelves. If you would like to cover the screw hole once you drill, my best advice is the cover with the white caulk, or just cover it with decor. Make sure you use a drill, as it will ensure that the screw is snuggly attached to the stud. To ensure your shelves are tight, I pushed down on mine with a little pressure once they were hung, to ensure they were secure. 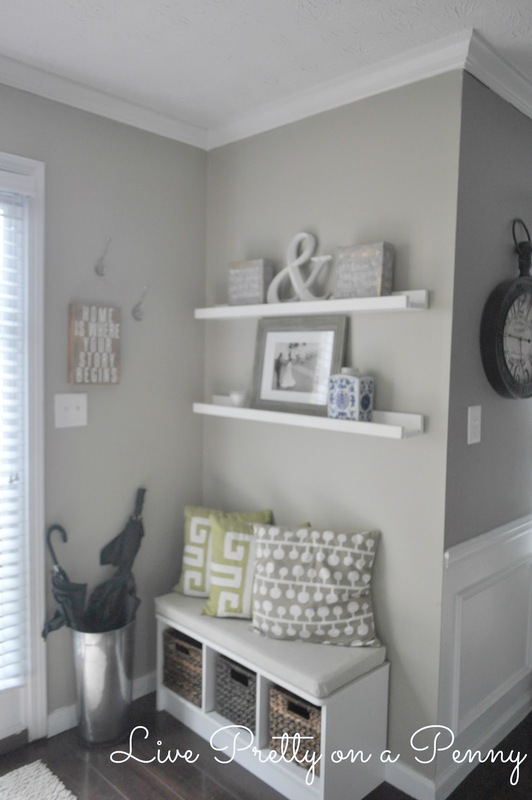 Make sure that you drill in deep enough so that your shelves are flushed against the wall. I have them setup in my foyer and I pretty much just styled them with things that meant something to me, like wedding photos, some greenery, a really cute affirmation picture, and other nick nacks. This project overall, not including dry time, took about 2.5 – 3 hours. Not bad for such an inexpensive makeover. I plan to use the remaining cuts of MDF for some shelving for my bathroom maybe? I hope that all of the directions on how to build these shelves were clear! If not, please don’t hesitate toemail me. I tried to be as detailed as possible, without overdoing it. I hope you enjoyed and let me know if you build them! I would love to see where you placed them and how you styled them! Back in 2012, I styled them a bit messy and cluttered, but now, I am in love with how I have scaled them down. Have you tried this tutorial? Or do you plan to? Please share in the comments below! And as always, thanks so much for stopping by. Until next time! Next Post First Flight? Yeah, Right!